Wildhorse Lake sits in a hanging valley on the eastern face of Steens Mountain in southeastern Oregon. 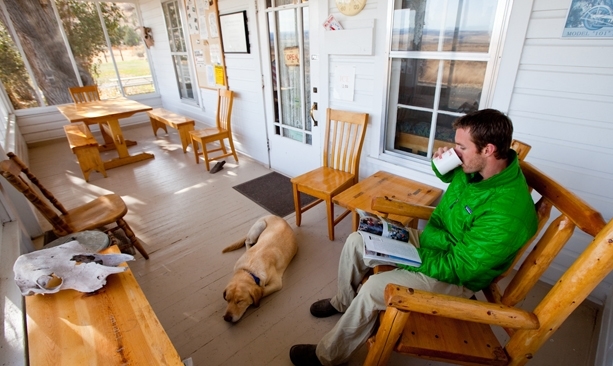 The porch of the Frenchglen Hotel offers relaxation after a long day of hiking. 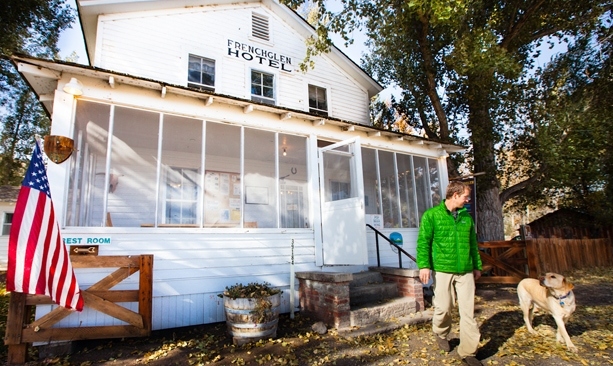 The historic Frenchglen Hotel was built in 1923. It's the only lodging for travelers in this out of the way corner of Oregon. The Big Indian Gorge Trail makes for a long day hike (at 16 miles) or a respectable overnight backpacking option. Big Indian Gorge Trail has sweeping views of the surrounding countryside. 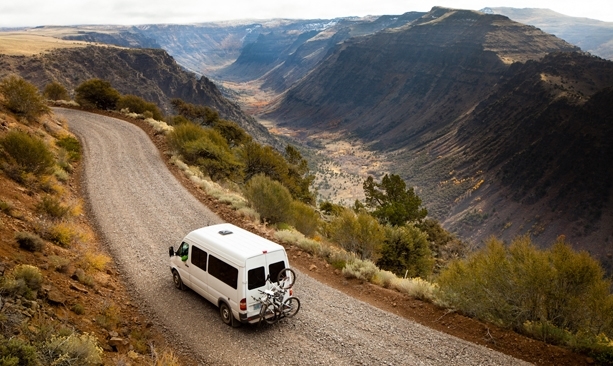 Steens Mountain Loop Road passes above Big Indian Gorge. 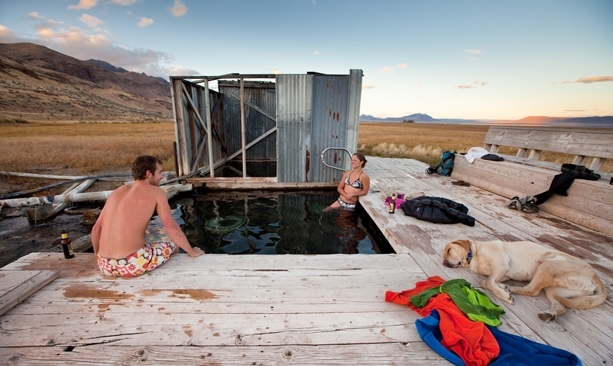 Alvord Hot Springs, located near Steens Mountain, makes for a great post-hike soak. Perched on Wildhorse Lake Overlook at the top of Steens Mountain, wind-whipped and surrounded by a spectacular 360-degree view of mountain flanks and desert plains, I found myself wondering why, exactly, I should bother hiking down the incredibly steep, rocky trail extending from our feet to the sparkling blue lake below. Pluvial Wildhorse Lake, which sits in a hanging valley on the eastern face of Steens Mountain in southeastern Oregon, is incredibly beautiful, as we could already tell from this vantage. Also obvious was the fact that picking our way down the 1,200-vertical-foot, one-mile drop to reach it would necessitate our turning around and climbing back up. 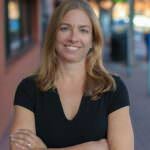 But my husband had already set out at his usual mountain-goat-on-a-mission pace, and anyway, why not? 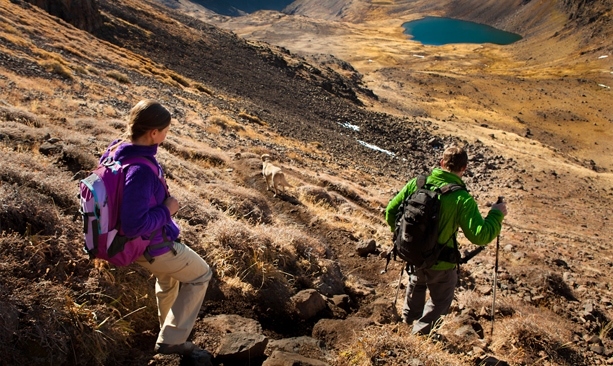 After all, this high elevation hike is a summer- and fall-only affair. (Some years Steens Loop Road, which we’d driven to access the hike, isn’t plowed clear until July .) Lovely late-summer days in the Oregon high desert were made for hiking to gorgeous lakes for no particular reason. And the good reasons always appear. If we hadn’t descended the rocky and narrow but manageable trail to Wildhorse, I’d have missed mountain bluebirds flitting around a trickling stream, colorful lichens splayed across rimrock, the last gasps of tiny wildflowers in yellow and white, signs of a very busy beaver working, and the refreshing bite of the alpine air at the top of this 9,000-foot mountain. An hour before, in Frenchglen — the tiny outpost at the western base of the Steens where we were staying — it had been a balmy 78 degrees. Here, a mere 30-odd miles up the mountain on the banks of Wildhorse Lake, it was 46 degrees and windy. All the more reason to keep moving on the climb out. Besides, we had a dinner bell to make. The Frenchglen Hotel serves dinner family style. The old hotel was built in 1923 to service folks doing business with the nearby P Ranch, which dominated the surrounding country for decades with 140,000 acres of cattle ranching. The charming structure is surrounded by massive white poplar trees equally aged, which smell deliciously sweet in summer. The hotel is cozy and simple; what it lacks in luxury, it makes up for in friendliness and piles of delicious, homey food. We shared meatloaf and potatoes with visitors from all over Oregon and beyond. Frenchglen is adjacent to Malheur National Wildlife Refuge and attracts many bird-watchers, but people also come to fly-fish, explore geology, sightsee and, like us, hike. One elderly gentleman was here with his daughters simply because seeing the Steens was on his bucket list. No wonder. 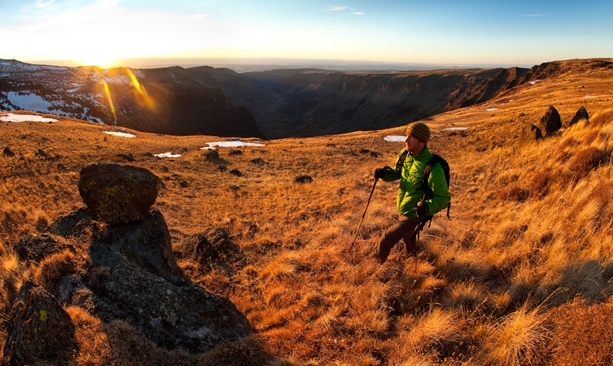 Steens Mountain is a geologic sight to behold. The largest fault-block mountain in the northern Great Basin is deceptive from the west, climbing gradually through sage and juniper to the dramatic rugged drop to the Alvord Desert below, which we’d witnessed earlier in the day. 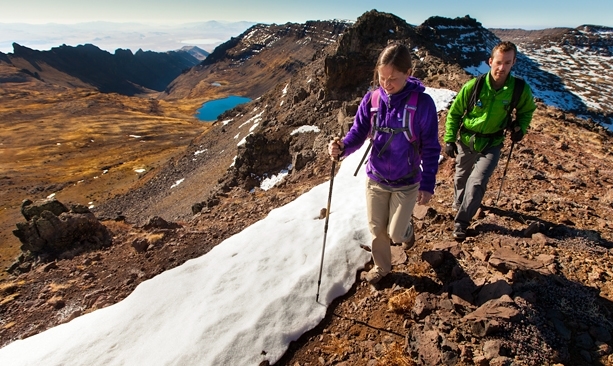 Aside from the summit, the Steens is dominated by four U-shape gorges, created when glaciers formed in stream channels epochs ago, eventually digging trenches one-half mile deep through layers of hard basalt. The depths and sheer immensity are truly breathtaking. 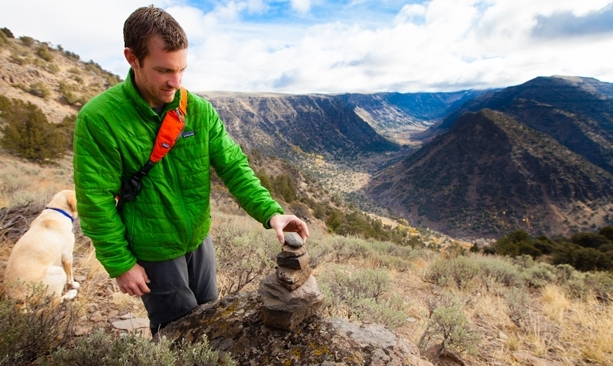 It’s Big Indian Gorge, Steens’s most southerly, we intended to hike when we awoke the next morning. We set out around the southern portion of the Steens Mountain Loop Road to South Steens Campground, the trailhead for Big Indian. A two-mile slog across a grassy plain led to the head of the canyon, then we made three stream crossings in a row. The further we progressed, the more beautiful Big Indian became. Sage and juniper gave way to mahogany, corn lily, tan oak and huge aspen groves. A veritable countryside of grasshoppers leaped about on the trail, overgrown in places but relatively easy to traverse. From a distance, we could see the cirque, or headwall — a huge outcropping of rock hanging over the canyon terminus, and our destination. After a good four hours of hiking, we had lunch under it, taking in several waterfalls that tumble from the Steens summit above. It was apparent that we could hike on — even, apparently, up — the face at the end. Maybe another time. Most folks make a multiday backpacking trip of Big Indian — not surprising given that 16 miles in one day, as our round-trip would be, isn’t everyone’s cup of tea. As for us, on a pleasant walk back, with the light of late afternoon bouncing around the canyon, we concluded that we’d earned our Oregon ale today, as well as the pot roast promised back at the Frenchglen Hotel. 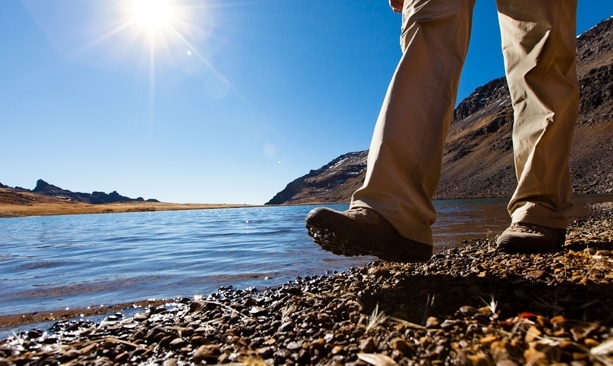 I took all three stream crossings barefoot, a warm diurnal breeze licking at my heels.